Resource allocation method always changes back to "flat"
The resource allocation using "Stretches" or "Manual" in the advanced allocation section is pretty slick. Unfortunately, after I save such allocation, and then go back to the advanced allocation tab to make some further changes, all allocations are set back to "Manual". This is very frustrating as this does not allow any resource specific assignment to a task. I would have to make tasks for each resource to allow flexible variation of resource assignments. Has anybody else observed that custom resource allocations do not stick? Is there some option one can set to avoid the resetting? In addition, it is not possible to have a resource allocation that ends before the overall task completion date, using stretches. Every stretch must be at higher in total allocation than the previous stretches. So to get an allocation where some resource is not assigned any work at the tail end of the task, one still has to assign some small amount (say 1%) during that period. I found out that there is a small checkbox icon labeled "Apply" next to the "save" button. Clicking this icon causes the resource allocations to be preserved. Albeit this is somewhat counterintuitive, at least this function works well. Without the custom allocation the tool would be much less powerful or convenient. The web service import does not seem to work, at least not using the provided examples. I enabled the wswriter and wsreader users, of course. I get an exception org.xml.sax.SAXParseException; the result is shown below. I tried a number of examples, all with similar results. I should use Libreplan with Tomcat 8, but it doesn't work. I am trying to deal with manual function in advanced resource allocation. I am dealing with a real scenario. I need to declare an activity spanning from the beginning of march up to the end of may. The total hours is 20. Then I link myself as a resource to this task. As soon as I save it, the planner spreads the effort during the first three days (8 hours each working day) using the flat function. If I switch it to manual, I can declare a single hour each week (this activity is a training I will give to colleagues). 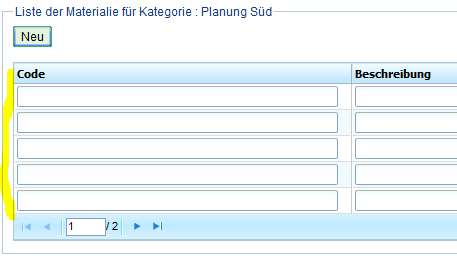 After that I apply it, the task in the gantt view is not editable anymore. If i switch the advanced allocation back to "flat" then the task goes to editable again. I already have bought the Missing manual, but I really can't understand what's the use of the "manual" function indeed at this point. We are repetitively facing an issue with attached the Libreplan error below, kindly check and let me know if any resolution of the same. Please see my current Hardware/Software requirements. 4 GB RAM, 200 GB HDD. Maybe i can edit the source a little? But where should i search? Turns out you have to tweak the setup when you are located behind a reverse proxy. How to grant permission to a specify user in order to let him to read/write to the Project he is responsible only? The last 2 month I have been trying very hard to upgrade several components of the LibrePlan infrastructure. One of these components was OSQA (see http://www.osqa.net if you have never heard of it before), the site you all know better as ask.libreplan.org. This turned out to be a real big challenge. I tried to upgrade and failed, downgrade and failed, switching databases and failed. Whatever I did, it failed. With over 20 years in Linux experience I started to blame the software :-). Sure, I could run a recent version of the OSQA software but the spam postings where too much to keep up with. So, in the end I gave up and decided to switch to MyBB. Maybe, if I find more time (which I doubt) I will migrate old OSQA questions and answers to the new forum. But I would not hold my breath until then . If there are regular users who had gained merrits/reputation over the years just email me and I will look it up in the old database and reestablish there ranks. In the mean time: have fun!